Unbeknownst to many, there are three different kinds of pool cleaners. Each pool cleaner effectively cleans your pool uniquely so determining which model is the best is like telling you what type of pool you should put up so it would be easier to clean. 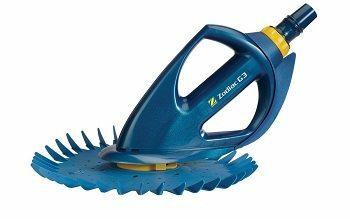 So in this review, we have decided to combine the top models of all three kinds and rank the best pool cleaner by how convenient they are to use. Before we start, here’s a brief definition of the types of pool cleaners so it will be easier for you to determine what type of pool cleaner is compatible to your pool. ​Suction Side Cleaners is a pool cleaner that you attach to the suction side, and the filter will clean the pool as the water is sucked out.Pressure Side Cleaners is attached to the pressure side of the pool that filters the water that comes into the pool. Robotic Pool Cleaners is like a vacuum cleaner that cleans your pool by itself. The SmartKleen-Robotic Pool Cleaner is designed particularly for small inground and aboveground pools. It has a built-in intelligent navigation, so it changes the direction of movement when it senses a wall ahead. Works on different surfaces such as Fiberglass, concrete, and Vinyl Liner and efficiently cleans the pool from leaves, small particles, and even acorns. It can clean pools up to 14 x 28 x 6 deep pools and auto shuts down after 2 hours. Equipped with a quick draining system, direct driving motor, revolutionary lightweight design, extra large filter bag, and a 40-inch power cord. It comes with a 2-year limited warranty and approved by ETL, CE, and CSA. 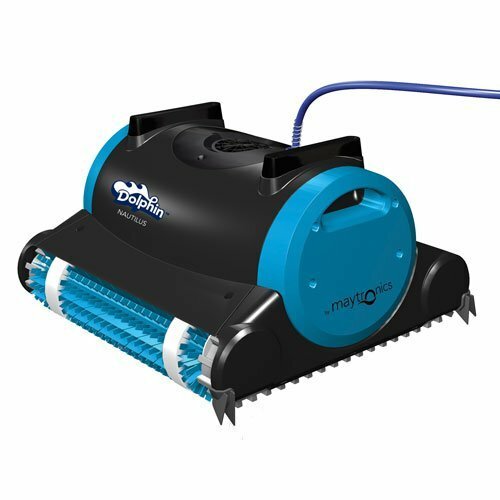 This pool cleaner is a cost-effective, performance-driven, and state of the art that cleans your pool faster than most cleaners. 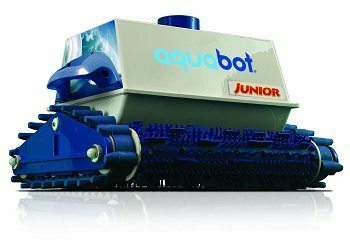 At a touch of a button, the Aquabot Junior can approximately clean the pool in 2 to 3 hours, including the floors and wall. And since it is cost-effective it is 50% less the total maintenance bill which already include chemicals, water, energy, and even the environment. It cleans without the need of any hoses, and its self-contained filtration can filtrate 4,500 gallons per hour. Includes a 51-foot buoyant thermoplastic rubber cord that is certified in UL and listed in ETL which is the highest and most reliable certification in the industry. ​Aquabot is the one of the largest and leading robot-cleaning pool cleaner company, and each of their product is handcrafted individually and tested for quality in the USA. The Dolphin Nautilus is another robotic pool cleaner to watch out for. Its lightweight structure and superior performance all for a very affordable price are the reason it made it on our 5th spot. It is best used in an in-ground pool with a maximum length of 50 ft, so it’s ideal for residential pools. It doesn’t just filter and vacuum the pool floor, walls, and cove but it also scrubs, within 3 hours. Best of all, it only costs 15 cents to clean the whole pool. 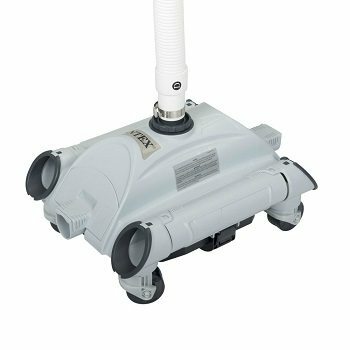 Cleaning it is very easy with its cartridge filter with filter and the patented swivel cable efficiently prevent any tangling. To operate is also easy as you just plug and play. No installations, no connections needed to the pool, it is self-programmed and comes with 12 months limited warranty. The Intex Pool Cleaner is an effective type of suction pool cleaner. Its efficiency and superior performance at an affordable price are just a couple of reasons why many Intex pool cleaners do prefer this over others. Do note that this is only optimized for the use of Intex pools and requires a flow rate of 1200 - 3500 gph and needs to be attached to its 24’7” hose and connected to the inlet of the pool. It is not suitable for an inground pool. This pool cleaner filters the pool’s every corner and maintenance is very easy and hassle free. Now this is one of the best in-ground pool cleaners on the market today. It uses power jets, so it provides a powerful vacuum that cleans the pool in 3 hours or less. Just connect it to the pool’s pressure line and it will do all the sweeping, vacuuming, and scrubbing in all the surfaces of the pool. Comes with a single chamber filter bag to hold all the small to big debris like leaves, pebbles, and acorns. It makes sure that this debris does not reach your pump filter, so it helps extend the lifespan of the pool’s filtration system. The Polaris Vac-Sweep 280 needs a separate booster pump to operate. Included in the box are the pool cleaner, single chamber filter bag, 31-foot hose kit and operating instructions. 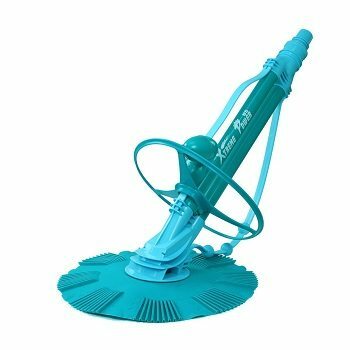 Now, this suction side automatic pool cleaner isn’t called Baracuda for no reason. It's a quiet yet powerful suction pool cleaner that works with minimal speed pump, so you also get maximum efficiency just like a Baracuda. 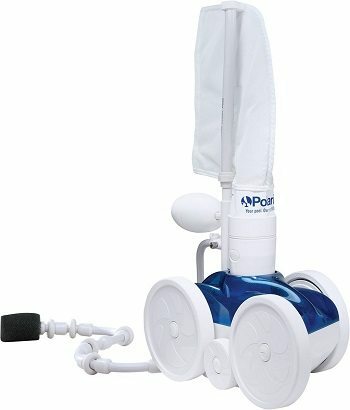 It is equipped with FlowKeeper valve that regulates the water flow in the pool and maintains its efficient cleaning performance, wheel deflector that allows it to move even on tight corners, and compatible with any speed pump (single, two-speed or variable speed) to clean the pool with minimal flow. It's easy to install and no tools or special plumbing required to get it running. 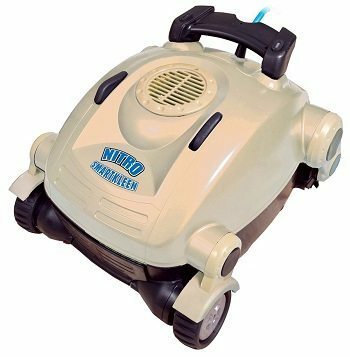 This automatic pool cleaner vacuum made it on the number 1 spot because it's able to work without tools and electricity needed. Plus it's ideal for an inground pool of any shape, size or construction. So think of how much electricity you can save and how easy it is to install. Just note that it cannot go into the shallow end of the pool that is lesser than 3-foot deep and requires a ¾ HP pump or 1600 GHP minimum to function properly. Just attach to your pool’s filtration system.